Having taught privately for the first two years, Elizabeth Edwards is delighted to have joined the staff at the Ulster College of Music. Elizabeth is a young and enthusiastic piano tutor who took up a tutoring position at the Ulster College of Music in September 2017. However, she has been around the College for a while, having studied viola with Astrid King as a second instrument! She is still currently in teacher training, although she completed her ALCM Piano Teaching Diploma in April 2016 and her ATCL in Piano Performance in December 2017. Elizabeth, taught by her mother, has been playing and enjoying music from her earliest memories. She was a Trinity College Guildhall silver medallist in November 2014, when she obtained the highest marks in the exam centre for her Grade 8 piano programme. 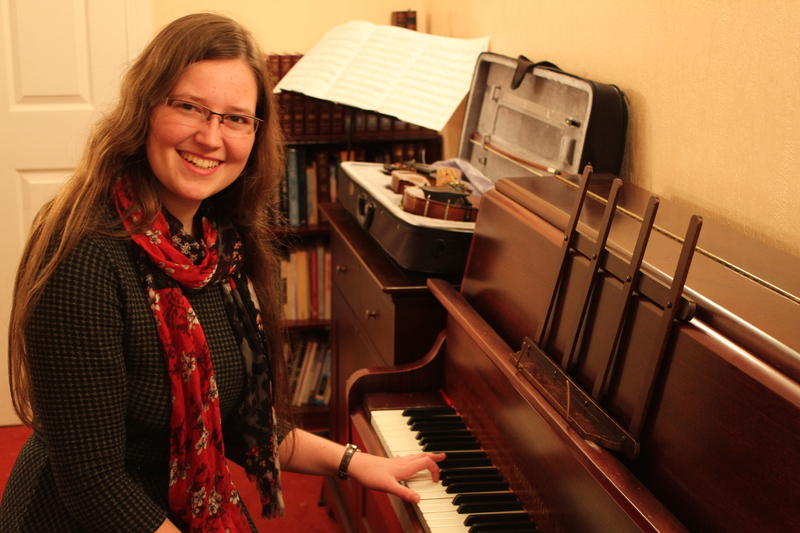 She is an enthusiastic participant in music festivals; in November 2015 she won the Kirk Memorial Cup at Holywood Music Festival for her rendition of Bach’s Prelude and Fugue in Eb and again in November 2017 for his Prelude and Fugue in E.